"Young Workers in the World of Work Today, our Vision for Tomorrow"
The delegates are cconvinced that Just Work is an integral part of human being for personal and humanfulfilment that guarantee for our participation in the development of society. However, seeing the world of work today, it does not guarantee the young workers, and workers in general, a sustainable life as young workers are facing unemployment, flexibilization and precarization of work around the world. They have seen that more and more of young workers and workers are victims of long working hours, lack of social protection, informalization of work, and low wages that it is difficult for us to provide the needs of ourfamilies. The digitalization of work resulting to the dismissal of workers leading to unemployment. Likewise the way in which work is being organised allow workers to be disintegrated our working relationship and organise ourselves preventing for free association. The International YCW has lost a former YCW member, Marie-Paule Crockaert, who died yesterday at the age of 69. 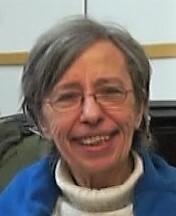 Marie-Paule had been working for years as a volunteer in the archives of the IYCW International Secretariat, and her contribution was essential to preserve the history of our young workers’ movement. The International YCW expresses its deepest sympathy to her family and her many friends. Thank you for your strong commitment to our movement. You have walked with us for years. Today you are gone but you have left in our hearts the most beautiful part of you, your joy, your cheerfulness, your energy, your sense of solidarity. More than hundred years after we first celebrated the International Women’s Day, this year is a good time to review the developments and advances, to reflect on new inspirations, to act for change and to propose alternatives. It is also a moment to celebrate the courageous commitment of ordinary women in our lives, in the movement and in society, who have played a protagonist role in the history of the movement and their communities. The International Young Christian Workers is about to open an International Exchange and Seminar together with the Future of Work Network in Bandung, Indonesia this coming August 12-24, 2018. We welcome all our delegates from national movements of YCW from Latin America, Africa, Europe and Asia-Pacific, as well as delegates and guests from our network the like of Justice and Peace-Germany, International Catholic Migration Commission (ICMC), International Movement of Catholic Agricultural and Rural Young (MIJARC), International Coordination of Young Christian Workers (ICYCW), International Movement of Christian Workers (MMTC), World Solidarity and many others. The International Seminar 2018 in Bandung is a dynamic activity to exchange the reality on the life and work of young workers, our culture and our action. By coming together we are writing the history of young workers in the context of World of Work (wow) and by then we are putting a stone-mark of vision of the Future of Work (fow). Last October the Asia & Pacific YCW (ASPAC) held a continental action meeting, a seminar on social protection and a regional leaders’ exchange in the Philippines. 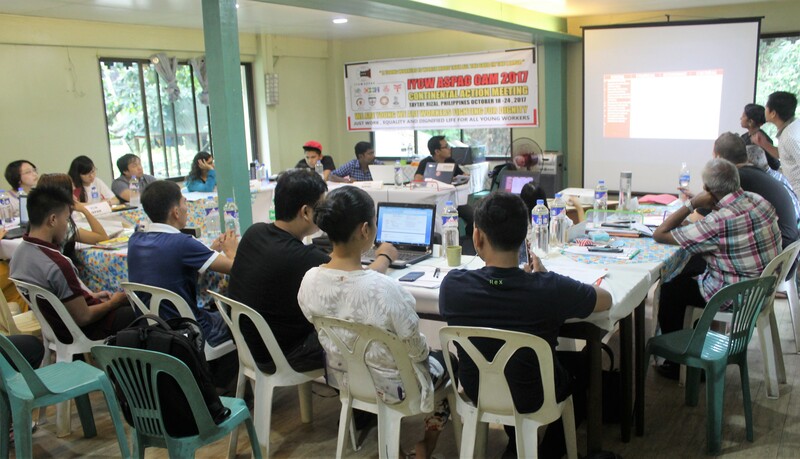 The Continental Action Meeting was held in Taytay, in Rizal province. Twenty-eight participants from the YCW national movements of Australia, Indonesia, Japan, Pakistan and the Philippines attended the meeting, and the ASPAC team, the IYCW secretary-general and a PANAF coordinator were also present. Leave no young women workers behind: End gender-based discrimination at work and in the society! End all forms of violence!